short girl, long island. : GlassesUSA [Sponsored Post]. Seeing as I have been wearing eyeglasses since the tender age of three, I was thrilled when GlassesUSA reached out to me. I have never ordered glasses online, but after reading up on the company + walking myself through the super simple process, I plan on snagging a backup pair, since the price is right. Basically, if you wear prescription specs, you get the eyeglasses prescription from your eye doctor + send an image via email [or fax] to the folks at GlassesUSA. You pick out a frame, test them out on the virtual mirror, then sit back + relax until they arrive. If you don’t like them, you send them back. Not bad, right? I had a lot of fun with the Virtual Mirror. I chose the Michele – super cute + cheap glasses with my name, awesome! 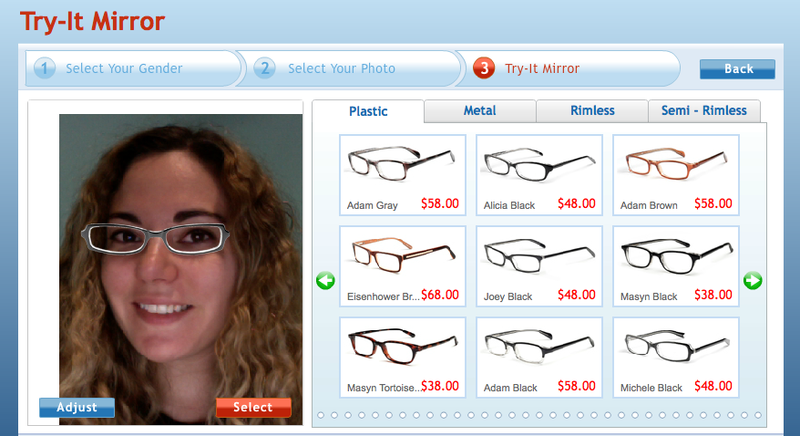 (orders over $50) with the code: FS15, plus take 10% off any order of prescription eyeglasses with the code Blog10. If you end up snagging a pair before I do, let me know. I just got my eyes checked out, so I plan on swinging by my eye doctor + snagging a script, so I can order a new pair of sunglasses. This post was sponsored by GlassesUSA, but the opinions are most definitely my own.